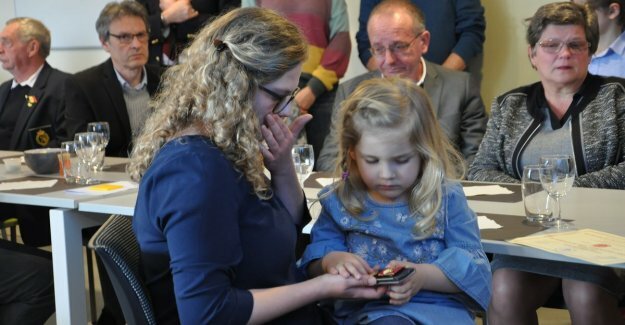 Oosterzele David Verhelst (28), the Balegemnaar that in april last year at a kajakongeval died while he was a woman and her child wanted to help, has posthumously a medal for courage and self-sacrifice. His family is working in the meantime, for more safety in the sport. “We can only try to get something positive from them,” says Patrick, the father of David. What happened on april 7, 2018 exactly happened on the river Lesse in Dinant, remained a long time a big question mark. In the meantime, there is already more clarity. David Verhelst was with his dog Vito to kayaking when he accelerated, saw that a woman and her daughter in the problems had come. He paddled against the current to the duo and helped them back on the road. When he later re-gained momentum and met, and that is itself smooth over hit, he decided again against the current to paddle back, so that he, the woman and her daughter would be able to warn them might help if the weather would miss out on. Unfortunately hit David himself in trouble. His kayak turned and David could herself out of the icy water to rescue. Vito swam still to the side. David left his wife Leonie, who by then was pregnant, and a daughter, Helena behind. In november, his second daughter, Eloïse, was born.